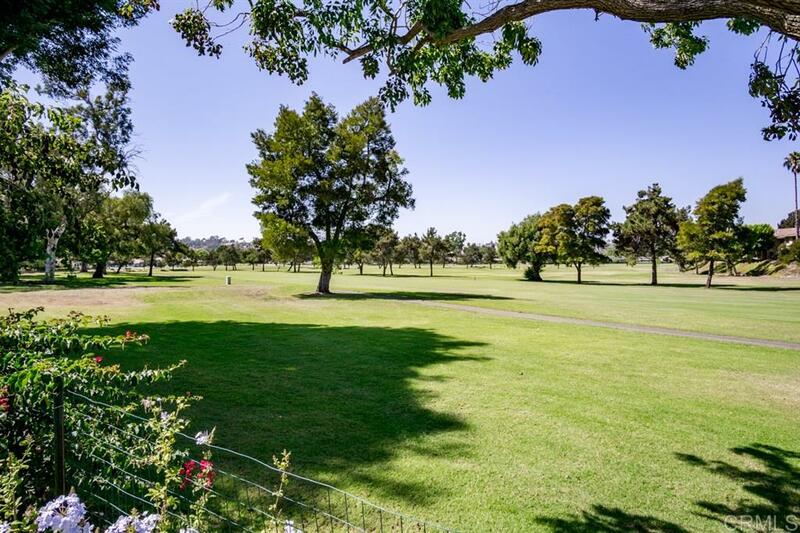 Enjoy breathtaking Golf Course Views (front and back) from this fabulous 2 BD, 2 BA home with 1519 sq ft. This open floor plan is Loaded with "high end" upgrades; large Gourmet Chef's kitchen with two sinks (farmhouse and island sink), six burner Décor stove with oversized oven, Trade Wind hood, Knotty Alder Wood custom cabinets, Caesar Stone counters and large island ideal for entertaining. Built-in wine rack, a Grohe pot filler above stove, and large Butlers walk-in pantry. MORE (See Supplement), Pella windows, Tempered controlled attic fan, newer AC and hot water heater, canned lighting, Plantation shutters, master bath is plumbed for steam shower, upgraded overhead plumbing, CAT-5 wiring, new sewer lines to street, rewired with #12 gauge wire, dimming décor switches throughout, new phone lines, and access clean outs for all drains. The outdoor landscape has low voltage lights on automatic timer, new automatic sprinkling system, wonderful covered large patio, great storage shed for tools and toys. Double car garage freshly painted, farm house sink, gas dryer hookup, and storage cabinets. Preferred street. Enjoy all the amenities and lifestyle of Lake San Marcos; boating, fishing, golf, tennis, paddle ball, swimming and various clubs to join. This home is truly amazing, bring your fussiest Buyers. A must see!! !